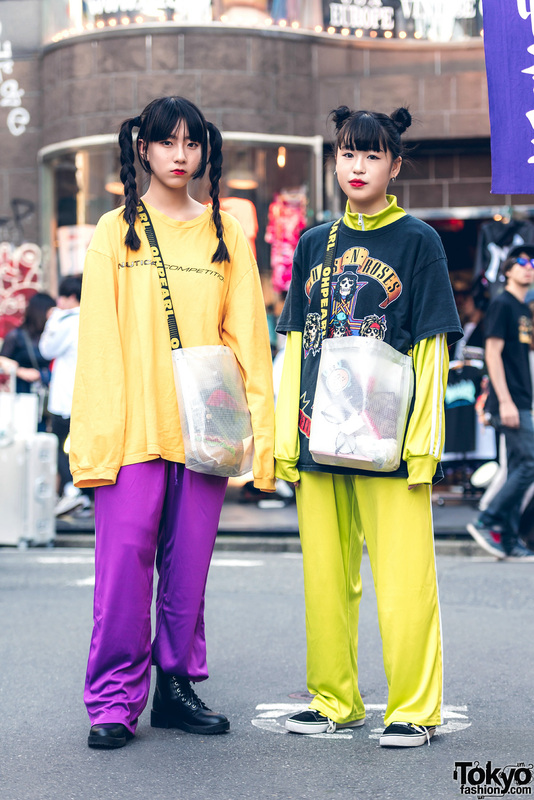 Harajuku girls in sporty streetwear with sweatshirt, purple satin drawstring pants, black boots & mesh bag; band tee over track jacket, matching track pants, black sneakers and a mesh bag. 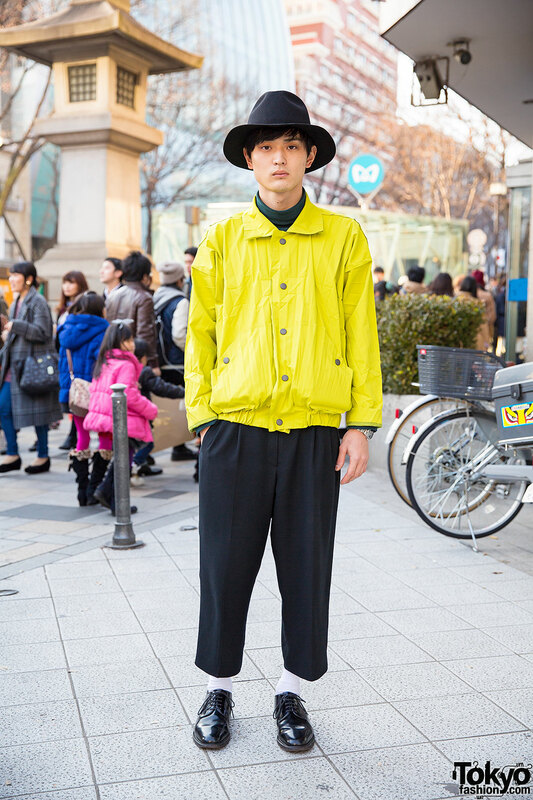 Harajuku guy in hat, turtleneck, pants and bright yellow jacket with oxfords and white socks. 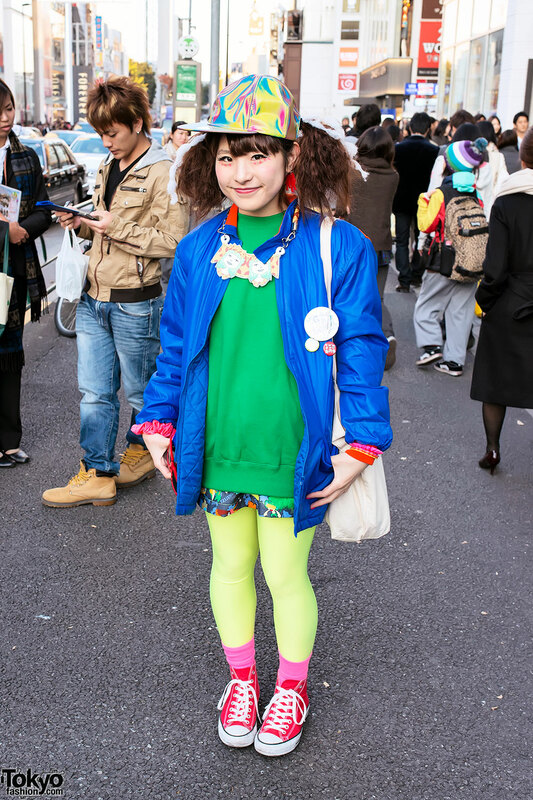 Harajuku girl with a pink bob hairstyle wearing a faux fur hooded coat from Galaxxxy with a bodycon skirt, platform boots, and a fuzzy WEGO bag. Japanese drummer on the street in Harajuku with Lactose Intoler-art “Koenji Kids” accessories and Chuck Taylor sneakers. A striking 19-year-old fashion student from South Korea wearing a hooded top, skinny KTZ pants, and boots from Dog Harajuku.